I get to meet these new friends on my next adventure! You would hate the West African adventure I'm going to undertake in a few days. And that's one of the reasons I'm so excited about doing it in the first place. It's going to be my kind of adventure, and that’s the kind almost nobody else would enjoy. Most people I know have never heard of Benin. The few who have heard of it, have never imagined wanting to go there. For me, those are big pluses. Maybe you remember something from grade school about “Togo and Dahomey?” That’s it. The old Kingdom of Dahomey became the country of Benin in 1975. 60% of Benin's 10 million residents practice voodoo, or more correctly "vodun." It's an official religion of the country. Another big draw! The country has one old, frustratingly slow, decrepit narrow-gauge railroad line built in 1920. It’s prone to accidents and only runs three times per week (or per month; depending on which website I’m looking at.) I'm not going to miss that train ride! I expect to get lucky. It's a Francophone country. The only non-Beninese people I'm likely to encounter will be intrepid travelers like myself. Since it used to be a French colony, I expect that most visitors and resident ex-pats will be French. I’ll be able to get by with my rudimentary French and sign language. The even smaller country of Togo is right next-door, so it would be easy to visit while I'm there. That would make Togo my 109th country, whichis an appeal in itself. I've always wanted to visit another one of Benin’s bordering countries,“Burkina-Faso,” to the northwest. That’s mainly because of its strangeand almost unheard-of country name. And get this: the country’s capitalis named “Ouagadougou.” Doesn’t that just beckon to you, too? However, Islamists there have been kidnapping Westerners lately, so for Barbie's sake, I won't cross that border. Nor will I travel east into Nigeria. (Pity, too, because the widow of the former Finance Ministerhas invited me to help her transfer 71 million dollars and has offered me a 7 million dollar fee to help!) Even though it would be imprudent to cross either of these borders, the mere existence of forbidden foreign lands in the neighborhood is alluring. Benin has just one big ugly city, Coutonou, where the only familiar hotel names are “Ibis” and “Novotel.” (The “Vertigo Hotel,” though, does sound appealing.) Although I’ve never done so before, I’ll register withthe U.S. Embassy before leaving for the unknown, just in case. Again, it’s for Barbie. After that, I’l quickly leave the city. Although I’ve been to Morocco and Egypt in the north, the swath of countries along the East Coast, all the way down to South Africa,... and hitchhiked four times between Nairobi at the equator and Cape Town at the southern tip of Africa, I've never been to West Africa. So, I’m sure you can understand why I need to go. Benin just one big ugly city, Coutonou, where the only familiar hotel names are “Ibis” and “Novotel.” (The “Vertigo Hotel,” though, does sound appealing.) Although I’ve never done so before, I’ll register with the U.S. Embassy before leaving for the unknown, just in case. Again, it’s for Barbie. After that, I’l quickly leave the city. Although I’ve been to Morocco and Egypt in the north, the swath of countries along the East Coast, all the way down to South Africa... and hitchhiked four times between Nairobi at the equator and Cape Town at the southern tip of Africa, I've never been to West Africa. So, I’m sure you can understand why I need to go. All of those reasons are probably disincentives for you to visit Benin, but for me, they just make it more magnetic. I'll end up staying in tiny dives throughout the country. If I'm really lucky, some villagers will let me sleep on the floor of their hut. I’m taking a super-light nylon sleeping bag that’s guaranteed to keep me comfortable all the way down to 59 degrees. Since Cotonou’s weather ranges from 76 to 88 degrees all the time, that bag should be enough to keep me warm and at least a little removed from curious eyes. Where I like to go, local people enjoy watching me sleep, since they can't believe this strange character (me) is actually right there in their hut. When I discovered that Benin celebrates national Vodun day on January 10th with animal sacrifices, python worship, chanting, drumming, and quite a lot oflocally made gin, I just had to get there in time. I’ll arrive on January 9th. Long ago, I planned on making this whole 2013-2014 year an unforgettable adventure. So, to accommodate my desire to travel to all sorts of strange places and to do so in the most rugged, uncomfortable way possible, Barbie chose to live in Monaco this year. It’s not that Monaco was going to be any real cultural adventure for her; it’s just that Monaco is quite arguably the safest place on earth, and I wouldn’t have to worry about her while I’m away. So, to contrast with ourshiny, safe, upscale life on theFrench Riviera, I crave a different kind of adventure. 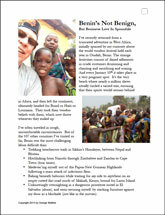 For me, a visit to Benin has tremendous appeal, and I also recognize that almost nobody else wants to or does go there. I really have no idea what I'm going to do or find there, except that I'm absolutely convinced that something wonderful will happen. I always begin an adventure like this with the absolute expectation that I'll have rare and positive experiences. That's the filter through which I see wherever I am. So, even if my experiences don’t turn out to be so positive, I’ll decide to enjoy them. My dear wife, Barbie, thinks I'm nuts to go and she would certainly never visit such a strange and uncomfortable place. Neither would anybody I’ve ever met. Yet, I'm very excited about not knowing what I'll find. Barbie takes great care with my health and well-being. First, she sent me to thedoctor to get a battery of immunizations. Then she got me my anti-malaria meds and made me start taking them before my departure. And for safe-keeping, she got a whole array of medicines for me to take along, just in case: broad-spectrum antibiotics, probiotics, anti-diarrhea meds, etc. And she’s made neatly lettered labels for each with instructions on exactly why, when and how I should take them. I expect to return with the packages (except the malariaprophylactic) unopened, and in the meanwhile appreciate her so much for covering all these bases. Since thefts and bad things do sometimes happen (though never to me), I’ll have my passport, cash, and cards in a money belt; plus a hidden backup stash with a second passport, more cash, and different credit cards secreted in my daypack. And just to be extra cautious, I’ll have still another backup hidden in my main carry on bag. I found one old guidebook to Benin online and also found an excellent countrymap at Amazon. I've printed out some of the Lonely Planet’s relevant “ThornTree” discussions from other backpacker travelers. And aside from those resources, I have no plans, crutches, or preconceptions. I'm launching into theunknown, and I'm inviting you to come along. 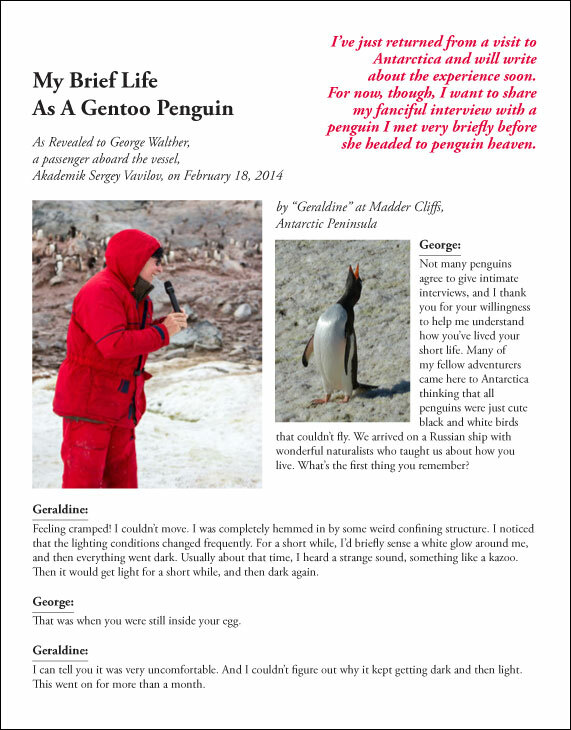 When I return, I'll of course write about my adventure. But don't expect to hear anything for at least a couple of weeks, as I assume and hope that Benin’s inviting backwaters are off the grid. I will take pictures this time. I've changed. You see, by the time I was 25 years old, I had traveled around the world 13 times without taking one single picture. That sounds impossible, I realize, but it's completely true. I had a part-time TWA airline job that yielded unlimited international travel benefits for free, wayback in my college and graduate school days. And I took full advantage of my travel benefits, backpacking and hitchhiking once I got to wherever a free plane ticket took me. The first was that I'd be able to boast about my adventures and try to make my friends drool as they viewed me standing in front of famous landmarks. I certainly wasn't going to do anything like that, so drop reason number one. The second reason would be so that I could rely on my photographs as a crutch to help me remember exactly what it was like. But then I’d have to distract some of my attention away from the experience itself and think about how best to photograph it. I do find that certain unphotographed moments stand out extra-vividly in my memory. However, I'm no longer prepared to say that photographing them would have had a net negative effect on the experience. So, that’s why I didn’t take any pictures. Now, I wish I had dozens of photos from my first 13 trips around the world. 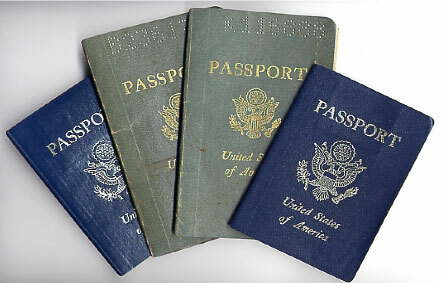 I do have photos of quite a few old bulging passports with extra pages added and lots of peculiar colorful stamps and visas. So, to avoid the possibility of forgetting any unforgettable moments, I’m taking pictures this time. I recently watched the "Secret Life Of Walter Mitty" movie and absolutely loved it. My very favorite scene was the moment in which Sean Penn's character had his super-duper camera lens focused on the rare sight of a snowleopard emerging from a steep, craggy cleft in the Himalayas... and yet he didn’t click the shutter. Especially if you factor in my belief that world peace only happens through direct personal contact with people completely unlike yourself. So, I’m now beginning Benin with my purpose in mind. Come on, let’s go.